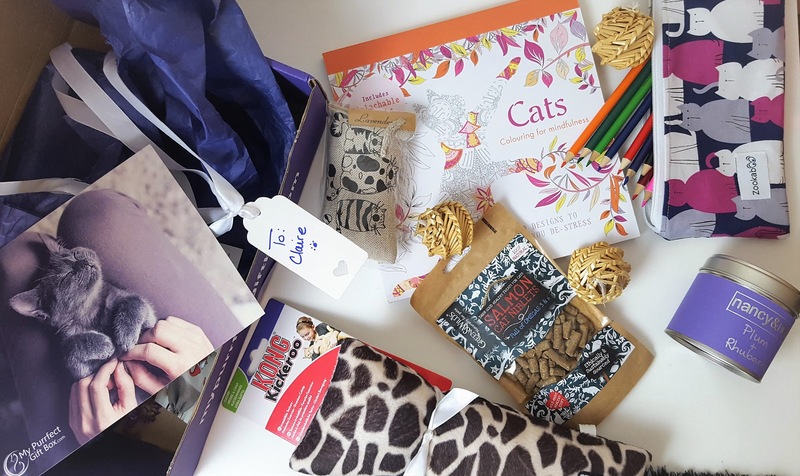 A fantastic box from My Purrfect Gift box for November 2016, is today's video. 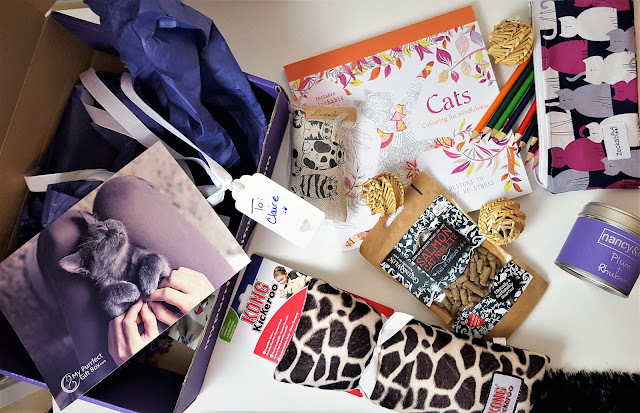 I'm so thankful to be sent this amazing box to review for you guys! The box is themed every month, and has gifts for you and your furr baby. 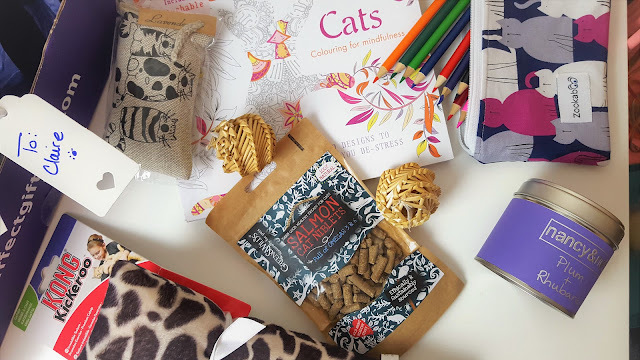 The November box from My Purrfect Gift Box is themed to help you relax. A Cat colouring book, pencils and a pencil case, a gorgeous candle, a Lavender scented bag, and loads of Cat toys. The boxes make a perfect gift! 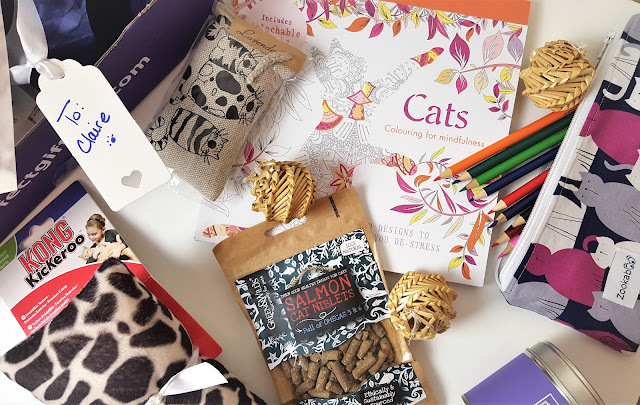 My Purrfect Gift Box offer a number of subscription options to suit everyones budget.